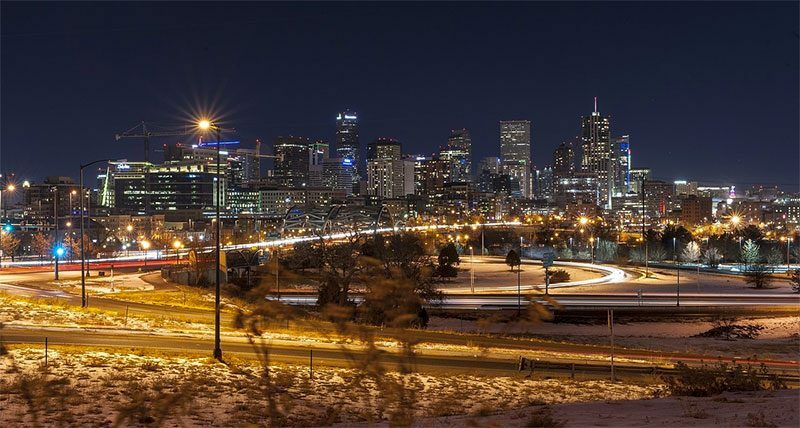 The Mile High City and a jewel of the American northwest, the city of Denver, Colorado has become a modern, sprawling metropolis, a city in which people from all over the country come to work, play and gather. This great people-oriented atmosphere has lent itself to the success of dozens of great coffee shops in the city, each serving their own blend of steaming goodness and hospitality. In the following article we will take a closer look at the Denver coffee scene and highlight some of the city’s best cups of coffee and the wonderful shops that offer them. Known throughout the city for its scrumptious avocado toast, Boulder’s Alpine Modern Café also serves up a great cup of coffee in an environment very conducive to friendships and amiable conversation. The somewhat quirky Alpine Modern Café is known for its artisan roasters, perky baristas and servers, specialty coffee favorites and the somewhat funky equipment that makes it all possible. Using beans from Huckleberry Roasters and Middle State Coffee, Alpine Modern Café offers a full range of hot and iced coffee beverages, as well as a great selection of teas and sodas. Its high ceiling and barn-like roof, outfitted with perfectly placed skylights, creates a light-filled atmosphere and a very airy room that invites guests to linger, make new connections and enjoy the amazing views of Colorado in every direction. As the name might suggest, Black Black Coffee is a simple coffee house where the high-quality beans and brew are the primary focus. Nearly three years ago, experienced barista Josh Nealy opened Black Black Coffee and in just a very short time the coffee house seems to have made its mark on the Denver coffee scene. Nealy utilizes a variety of locally-roasted beans, as well as some other favorite coffee blends he has tasted in cities throughout the country. As a purist, this barista believes exclusively in espresso, so it might not be a good idea to order an Americano. Located at 3459 Ringsby Court in Denver, Black Black Coffee aims to source coffees from the finest farms in the world, roasted by highly-skilled coffee artisans who go to great lengths to partner with producers, paying any premium for amazing coffee, and who roast coffees to bring out the terroir characteristics of a coffee. A few of the great coffees Nealy includes in his caffeinated drinks are Denver’s Sweet Bloom, Middle State and Commonwealth coffees; Boston’s George Howell; Brooklyn’s Parlor Coffee; and Four Barrel Coffee from San Francisco. Located at 3350 Brighton Boulevard in Denver, the coffee house known as Boxcar boasts highly-skilled baristas, premium, house-roasted beans, and a vintage German coffee roaster to create a special java atmosphere that must be experienced to appreciate. Boxcar Coffee Roasters was established in 2010 in Boulder, Colorado by Vajra and Cara Rich. Together with roaster Janos Porps and a highly-trained staff of baristas and a crack roastery team they managed to bring to Colorado some of the best and most creative coffee possible. Over the years, Boxcar has created a unique “altitude brewing” method called the Boilermaker to help brew outstanding coffee at Denver’s elevation level. Inspired by traditional “cowboy coffee,” the coffee house immerses the grounds in boiling water to acquire the ideal extraction out of every single cup—a method that has customers lining up for this simple, yet delicious brew. Positioned at 1555 Blake Street in Denver, Colorado, Little Owl Coffee is a tiny spot located in the LoDo section of the city in the Sugar Cube building. The great coffee shop offers a farm to cup experience utilizing single-origin and single estate coffees, manual brew methods and the finest in craft espresso. The café additionally serves up specialty teas, semi-sweet and savory pastries and a variety of healthy juices. Little Owl Coffee is the perfect morning—or afternoon—destination every time you find yourself in Denver’s LoDo district, with each cup of coffee better than the last. Located at 932 Jersey Street, the Copper Door Coffee is the first female-only owned roasting company in the city—a place that offers beans to go but also some of the best coffee drinks in the city of Denver. The Copper Door Coffee Company sources beans from farms doing great work in the coffee industry, from women-produced coffees, to coffees benefiting wildlife conservation programs, to farms growing fair trade and organic beans. As a coffee roaster, Copper Door relies on the excellence of its beans, and that excellence relies on a series of best industry practices—from soils to sunlight, harvest and drying, to roasting and storage and using proper water. The café selects their raw beans from around the world through some of the most discerning suppliers in the United States, ensuring that every cup of coffee they sell is of the highest quality. The Amethyst Coffee Company, located at 1111 Broadway Street in Denver’s Golden Triangle, is a great place to have a steaming hot cup of genuine coffee. The two-year old café is owned by Elle Taylor and offers coffee made with Commonwealth and Ritual Coffee beans. Recently, the Amethyst Coffee Company added an evening cocktail menu to their list of products—a move that has been very popular for those who live and work in the Metlo area of Denver.